The Ribbon is the latest long travel All Mountain/Enduro fork to come from Colorado-based mountain bike company, MRP. 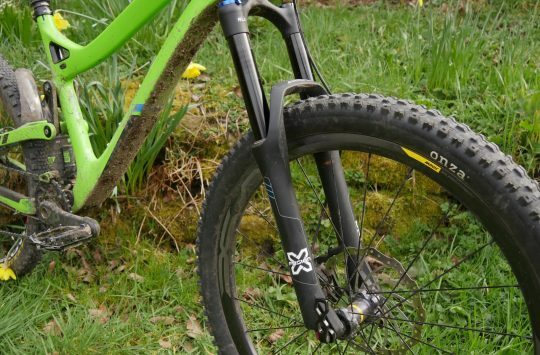 The fork tested here is the 160mm travel 29er model, which can also be internally adjusted to reduce travel in 5mm increments down to as little as 120mm. 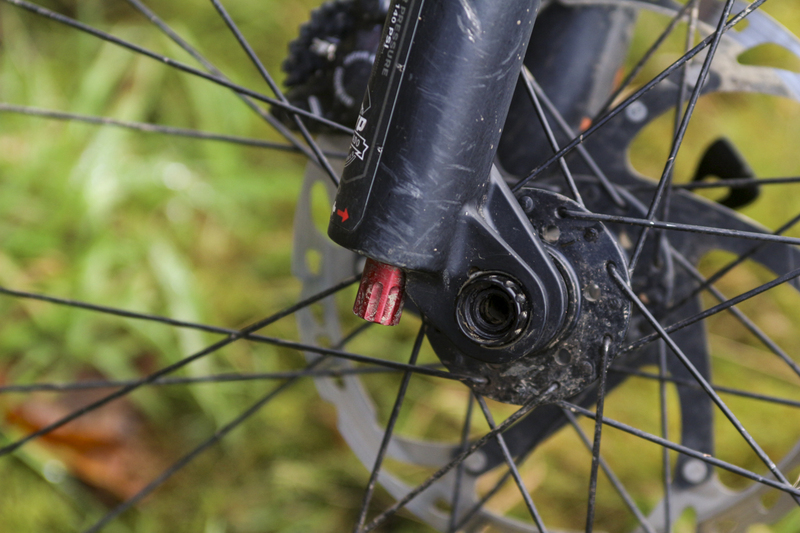 The fork is also available for 27.5in wheels and again offers the same travel customisation. 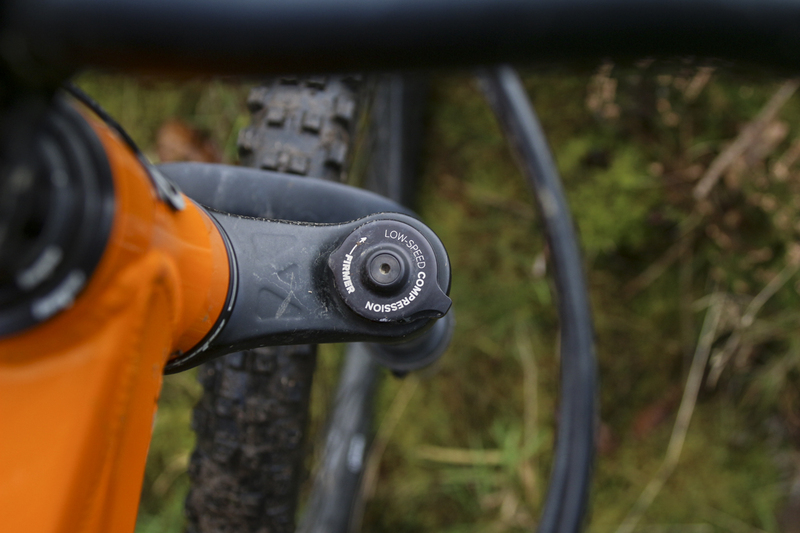 The Ribbon is designed, tested and built in Colorado from components made both in Taiwan and in-house. It takes it’s name from a trail local to MRP headquarters, which according to its maker provides a variety of terrain – from slow speed tech and vertical rock slabs, to high speed smash fests. And with the Ribbon built to take on the likes of the Fox 34/36 and RockShox Pike/Lyrik, it certainly has a lot to live up to. The MRP Ribbon uses a distinctive arch with a forward-facing truss. 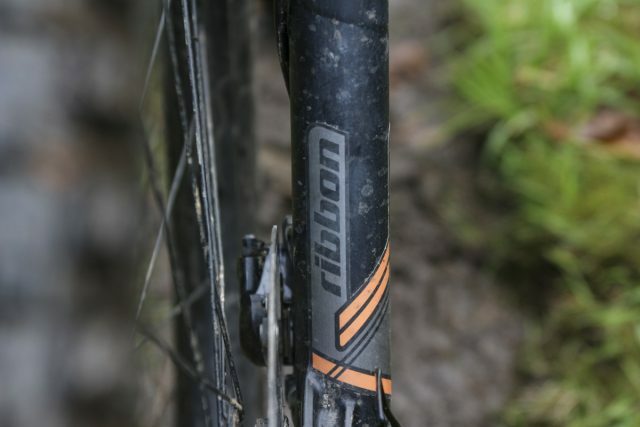 Fundamentally, the Ribbon is based around MRP’s Stage fork, but whereas the Stage is spaced for non-Boost hubs, the Ribbon features a Boost-specific chassis. It’s designed to build on the Stage’s proven platform, while improving all-round performance and weight. The lowers on the Ribbon are traditional magnesium and are designed with an outcast arch, which basically means the arch webbing is facing the front of the fork, rather than the traditional rear facing arch. 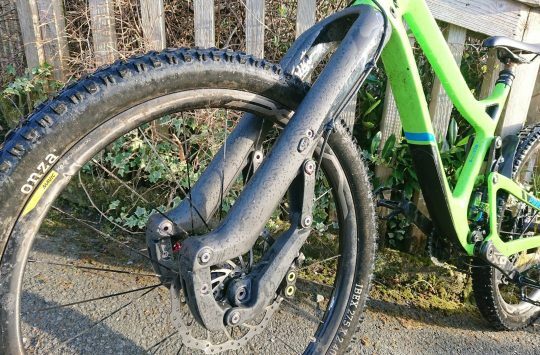 This is to relieve the fork of unwanted mud build up (something MRP picked up on from UK rider feedback) and also give it a distinctive look, which it definitely does, standing out from all the other black stanchioned and chassis’d forks currently on the market. 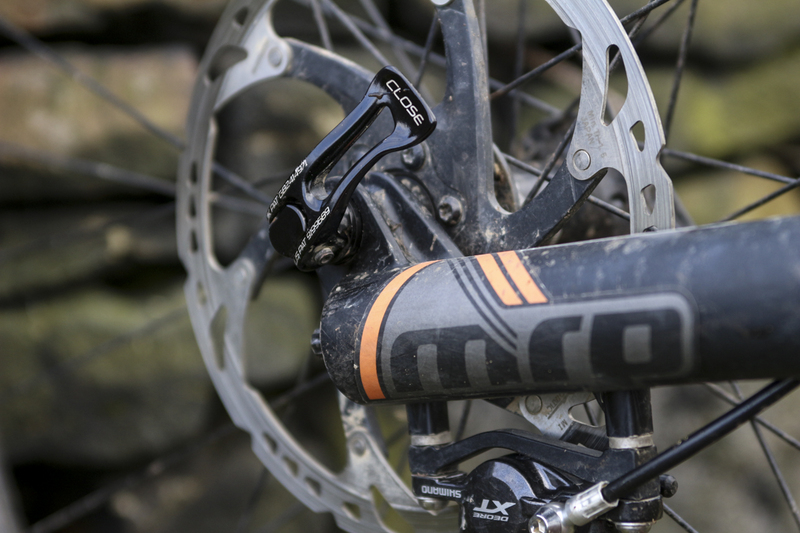 You can get the Ribbon in 27.5in or 29in versions, with travel from 120mm up to 170mm. Sliding into those lowers are 35mm stanchions and everything is bolted together with a 15mm QR15 through axle. Inside those stanchions, the Ribbon uses its FulFill™ independent positive and negative chamber system. As opposed to a self-adjusting spring as seen on the Stage, the Ribbon has separate valves for both positive and negative chambers, and is manually adjusted through two separate Schrader valves – providing the rider more control over the air spring’s behaviour. One other point to note on the chassis of the forks is the two buttons on the rear of the lowers. These are the ‘PSST Valves’, which are built in pressure relief ports. They allow you to easily remove any air pressure build up from heavy riding days, or if you’re lucky enough to live and ride somewhere with big elevation changes, to bring the internal air pressure to the outside ambient conditions. Or at least, that’s the theory anyway. 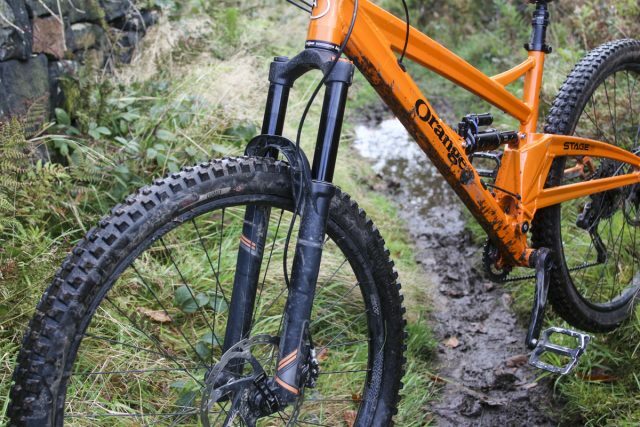 Ross has been testing a 29er Ribbon set at 160mm travel. This is one big fork. Underneath the black cap is the air valve for adjusting positive pressure, while the orange dial is the Ramp Control. There are 16 clicks of adjustment to play with. 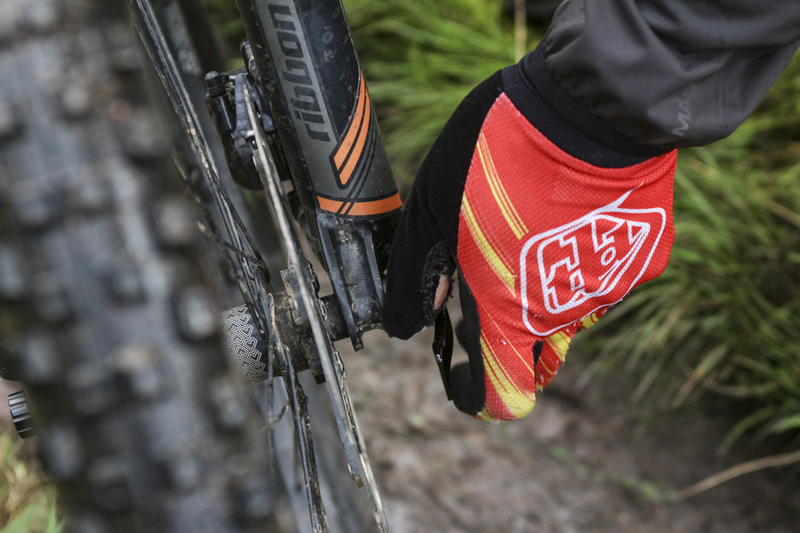 I’ve always been drawn towards simpler forks and shocks for ease of set-up and use – add air, adjust rebound, and off you go. Some like to twiddle and fiddle with numerous dials and valves, but I just like to get things feeling just right and leave them – so I was pretty keen to try the Ribbon and see how I’d get on with the added adjustability on offer. The Ribbon offers no less than five different ways to tune your ride and get them set up just as you like, or infinite adjustability for those happy to tinker to suit different conditions and tracks. There are positive & negative air chambers, rebound, low speed compression and MRP’s clever Ramp Control Cartridge, which, as the name suggests, allows you to adjust the ramp of the fork during the latter part of its travel. It does this by opening or closing a small port within the cartridge – the smaller the hole, the harder it is for air to pass through, so more progression. The bigger the hole, the easier for air to pass through, so less progression. On the left is the setup card provided in the fork box. On the right is the new setup guide found on the MRP website. If you’re a bit dizzied by all of the adjustments, you’ll be happy to find that the Ribbon comes with a really handy setup card in the box. Not only does this give you a recommended positive air pressures for your weight, it also lists three options for the negative chamber depending on how you want the fork to feel – firm, neutral or plush – with a higher pressure in the negative chamber helping to get the fork moving for a plusher feel. MRP point out though that the negative air pressure must be kept within a range of 95-110% of the positive air value. It also gives a recommended number of clicks on the rebound and gives a quick rundown of the Ramp control settings – fewer clicks for a more linear feel, more clicks for increased ramp. 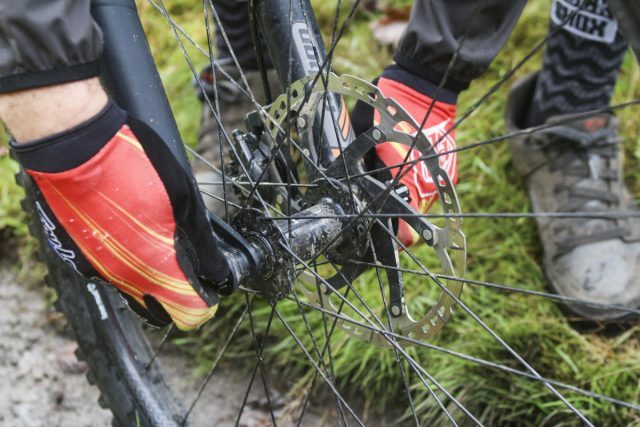 A black dial on the right fork leg controls low-speed compression damping. And the red dial at the bottom adjusts rebound damping. Going off the recommended settings for weight, I initially set the Ribbon up with 100 psi in both the positive and negative chambers and wound all but two clicks off the low speed compression. I was slap bang in the middle of two of the rider weight thresholds so went for the higher weight (I also wasn’t wearing any riding kit when I’d last weighed myself) thinking slightly firmer would be better than too soft and give me a good base to start from. Having the same pressure in the negative chamber meant that the fork should have a fairly neutral feel. Next was the Ramp Control. The Ramp Control cartridge has a full 16 clicks of adjustability. MRP state that 8 or more clicks will help you keep in control on faster and steeper trails. 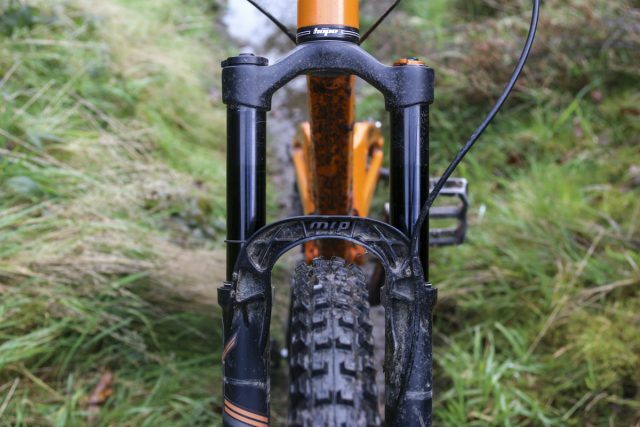 The idea behind this is increased ramp will keep the last part of your fork from blowing through the travel, saving it for bigger hit and keeping the bikes geometry more relaxed by stopping the front end from diving. With this in mind and after speaking with the guys at the distributor I initially went with 9 clicks on the Ramp Control to keep the front end composed on the steeper valley trails. There’s tonnes of adjustability with the Ribbon, and it took me a while to get it dialled in to my preferences. First ride on the Ribbon involved a bit of everything, including long rocky climbs and fast packhorse descents, through to steeper, rougher tracks to bomb down on. The fork felt good while climbing, and was pretty supple off the top, tracking well and soaking up the smaller bumps. But when the trail pointed the other way and speed picked up, the fork was feeling a little harsh and not using all its travel as I thought it would. First off, I backed a couple of clicks off the Ramp Control to try and make the fork feel a bit more linear with less progression, and although this improved things a bit the fork still didn’t feel how I would like and was struggling to use all the travel. Next was air pressure. Although I’d originally gone off the recommended settings on the setup card included in the box, after speaking with MRP, I found an updated guide on the MRP website which actually had the given pressures reduced by around 15%. This is important to know if you’re a current or future MRP Ribbon owner. With this fresh knowledge at hand, I dropped the positive air pressure down to 85psi, and the negative air to 93psi. I also added another click to the Ramp Control, with the idea being the added pressure in the negative chamber would keep the fork nice and plush, with an extra click of ramp stopping the fork from bottoming too easily. 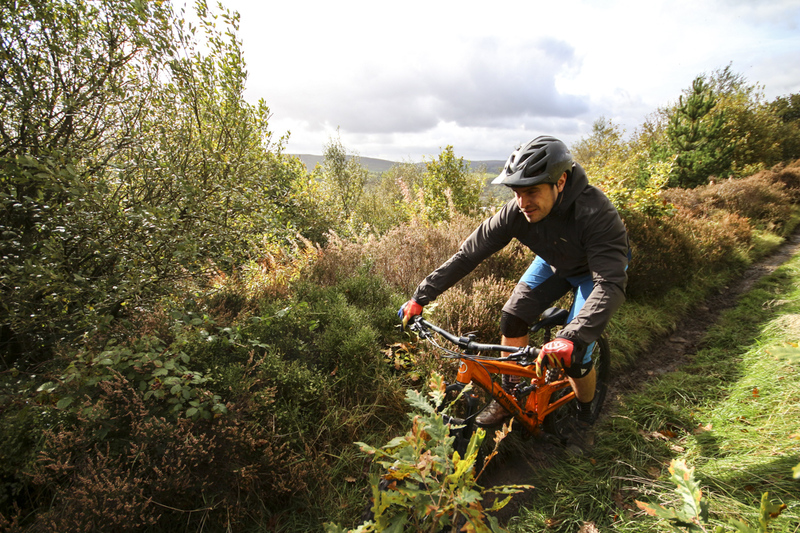 Having the externally adjustable Ramp Control means you can quickly alter the fork’s behaviour for different types of trails. And holy crap, what a difference! The fork was now transformed and felt really good. Nice and plush at the start of the travel, which was great on small bumps and for outright grip, yet the Ribbon stayed composed and offered plenty of support in the mid stroke with a nice ramp up at the end for bigger hits and steeper more full on tracks. Once I’d got the air pressures and Ramp Control dialled in to where I wanted them, the Ribbon has performed pretty much faultlessly. I’ve ridden it on big XC moorland slogs, through steep valley ruts, and on uplift days at Bikepark Wales and Revolution Bike Park, and it’s handled everything I’ve thrown at it. The only thing I’ve messed around with since getting things set up is the Ramp Control settings. 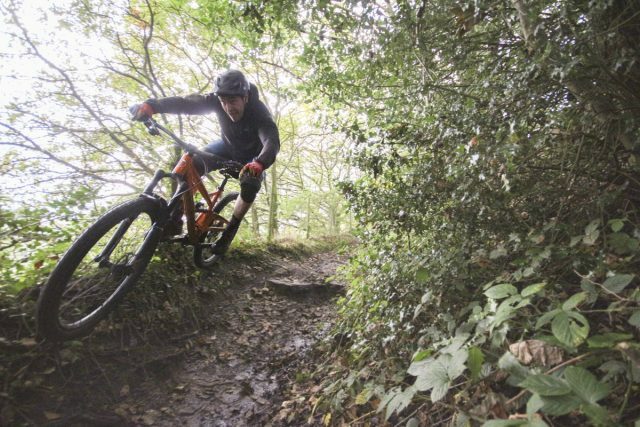 It’s a great feature to be able adjust the progression of the fork depending where you’re riding without having to faff around with shock pumps and spanners. I found myself adding a couple more clicks than usual onto the Ramp Control if I knew I’d be spending the day ‘falling’ down steep, techy hillsides, and then backing it off to my preferred settings when it was business as usual. …but the nut on the opposite side is free to rotate, so it’s a two-hand affair whenever you need to install or remove the front wheel. My only gripe throughout the whole testing process was with the QR15 axle. The nut that the axle screws into isn’t fixed to the fork lowers, so it can rotate independently. 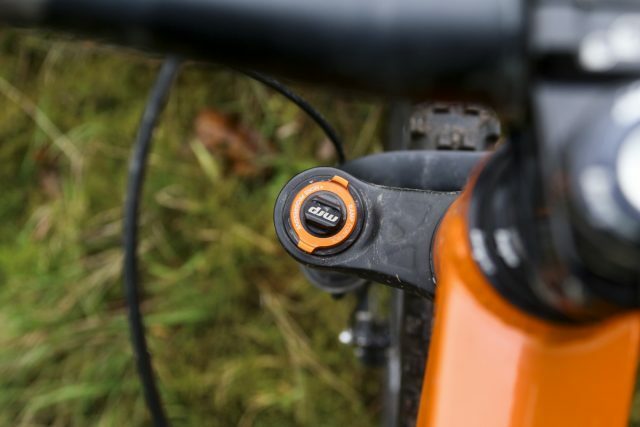 This allows fine tuning of the tension (as you can turn this to tweak it once you have the QR lever in the required position), but also makes it a bit fiddly tightening the front wheel of the bike while supporting the bike with your other hand, as the nut has a tendency to turn with the axle. Not a huge issue in itself, but it’s an annoyance if you have to constantly remove your front wheel to get your bike in the car – like I do about three times a week. To remedy this though, you can get a tooled 15mm bolt thru-axle off MRP but you have to request this separately, and it also then requires tools for wheel removal. 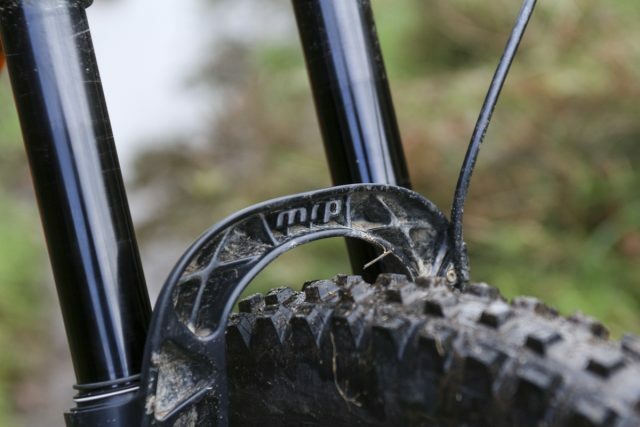 With its huge adjustability and long service intervals, the MRP Ribbon is a high quality fork for those who like to fettle. So, what do I think of the Ribbon? Overall I can’t fault this fork. It took a little bit of time to get it dialled exactly how I wanted it, but once there, the performance has been flawless. It’s feels stiff and direct when hitting the hard stuff and stays composed and gives great support through the stroke on all sorts of terrain. At less than 2kg, the Ribbon’s are pretty light compared to other similar travel forks on the market. In comparison, the RockShox Lyrik 29er of the same travel weighs 2040g. Despite the Ribbon being over 100g lighter, I haven’t noticed any particular flex given their lighter weight. 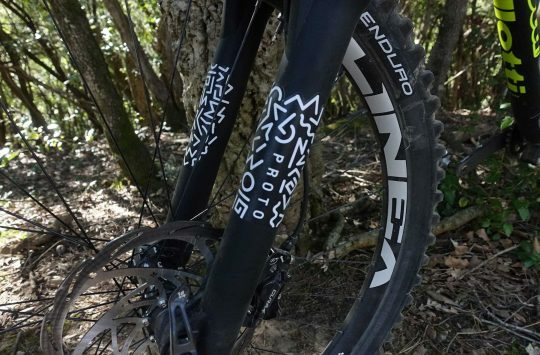 Add to that endless tune-ability, long service intervals (200 hours between damper oil changes) and the choice of 9 different decal colours, and this is a fork that should appeal to a lot of riders. There’s a lot of competition for this part of the market of the market with offerings from Rockshox, Fox, DVO and Cane Creek just to name a few, but the Ribbon is well worth looking at for anyone that is in the market for a fork upgrade and is willing to spend a bit of time playing around to get the most from what is essentially one of the most important bits of kit on their bike. who is this guy? outstanding debut! – make him write many many more!